Can a 7% Annuity Outperform an 8% Annuity? It may sound like a trick question, but the answer is simple. 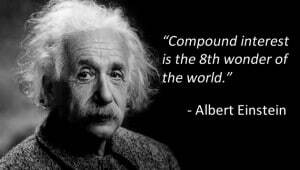 An account earning 8% simple interest earns less over time than an account earning 7% compound interest. A popular hybrid annuity advertises an 8% minimum guaranteed simple interest rate, but the savvy consumer will recognize the better value lies in another strategy with a 7% compounded minimum interest rate. In addition to 100% principal protection, this contract offers guaranteed lifetime income, an 8% immediate bonus, the ability to earn more than the 7% minimum guarantee, and income multipliers if you become unable to perform two of the basic daily living tasks. To learn more, click the button to request a time to visit with me either in person, or over the telephone. I look forward to hearing from you!